Our house consisted of myself, my lovely husband G and our 2 beautiful boys (B 3 years old and O 12 months). We had unexpectedly found ourselves pregnant with a third child just weeks after moving into our new house in December 2013. Fast forward to January 29th 2014 when we would meet our new bundle of joy for the first time. As we headed off to the hospital I remember telling my husband not to get too excited as I didn’t think there would be anything there. I was still in my normal clothes and had in fact lost weight in recent weeks which was very unusual for my first few weeks of pregnancy. As the sonographer started the scan I knew straight away that something was different but, the shock of her telling us she’d found 2 very healthy babies still nearly made me fall off the bed! 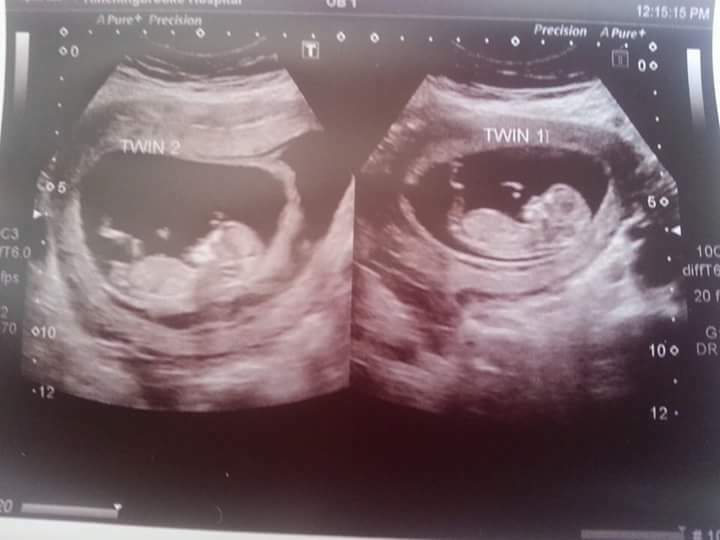 Twins do run in both our families but never did it cross our minds that we might end up having twins! G was shocked (the polite way to put it) and kept asking if she was sure! So, by August 14th 2014 we would become a house of 6 with 4 children under the age of 4! Madness, excitement and pure terror were all likely thoughts!